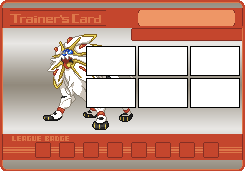 Discussion in 'Trainer Card Maker Submissions' started by Doctor Oak, Dec 14, 2010. Backgrounds shouldn't be too large. They should be capable of fitting safely into an acceptable signature size. 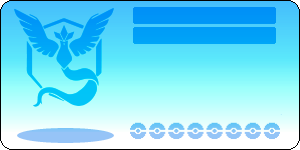 (Ideally, no taller than 200 pixels and no wider than about 600). 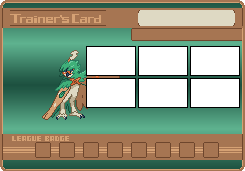 There should be space for 6 50x30 Pokemon images on the card. We'd prefer it if you didn't place the boxes on the card yourself. 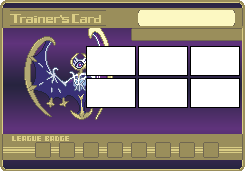 There should be space for 8 16x16 badge sprites on the card. 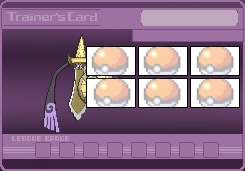 There should be a set space for a Trainer's name and a Friend Code. 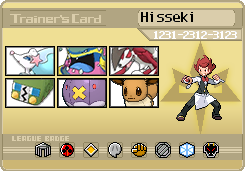 There should be some space on the card for a credit to Pokecharms.com. Please do not add this credit yourself. 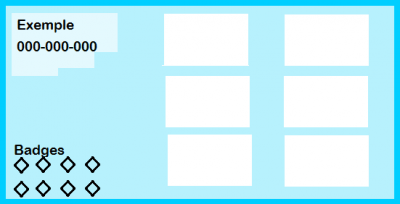 Backgrounds should only be submitted by their original creator. Any backgrounds submitted by a third party will be rejected. 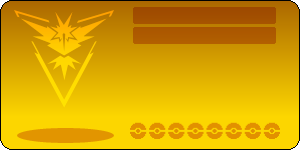 Please note that submitting sprites for the TCM gives us the right to use that sprite outside the TCM for other site purposes as well. We regret that there is no real way to credit all those who submit sprites, so you should only submit if you are satisfied with these terms. 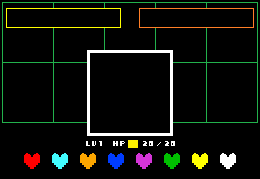 If you want bases for your sprites, check out the sprites on The Spriter's Resource. Please do not use existing custom sprites/artwork as a base, or outright stealing someone else's sprite/artwork and posting it. Plagarism will not be tolerated. 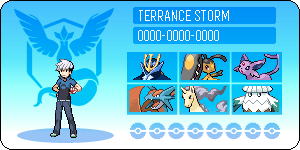 Darian Dakamari, mikkel-greninja, Skybeast621 and 4 others like this. Tobidactyl, Splashfur, Cloudswift and 4 others like this. Swirled, Darkhero666, Splashfur and 5 others like this. Darkhero666, Splashfur, Cloudswift and 4 others like this. Here's mine. It's not the best, but here it is. Cloudswift, The iFlare and ToxicSwamp like this. Morosini, Retarded Otaku, Barrit14 and 25 others like this. 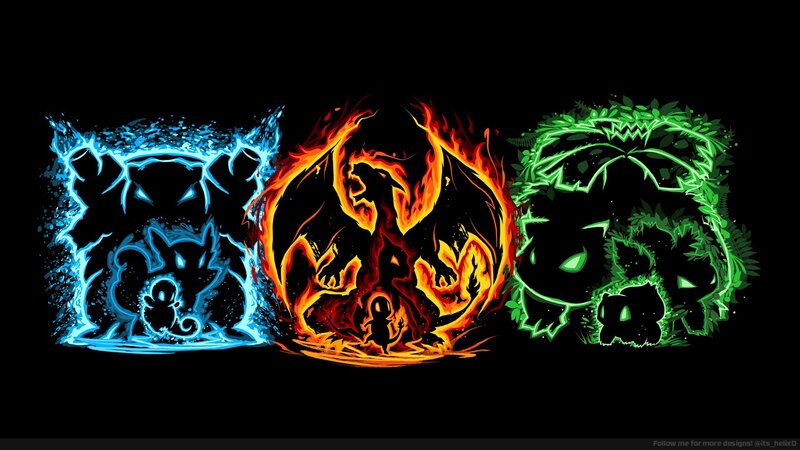 I don't actually play Pokemon Go, but I really love the team logos. Sorry, they're not flashy at all. I'd like to see what other ideas people have though! 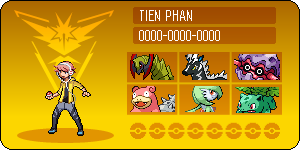 *winkwink* I hope this is good enough for now. Morosini, Tobidactyl, Barrit14 and 23 others like this. So yeah... 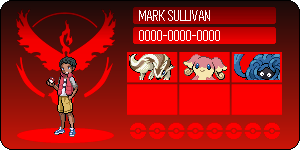 I had fun making it though. 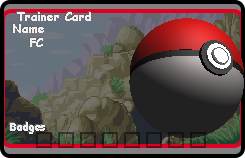 That pokeball was originally a 3D render I developed myself in photoshop for another project. 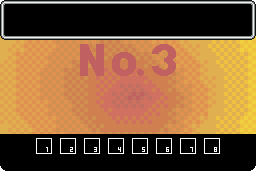 It was simple, but I'm sort of proud. Lol. Morosini, Tobidactyl, Barrit14 and 3 others like this. 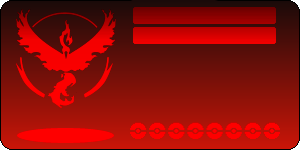 Tried my own hand at making Pokemon Go backgrounds. Shalksz, Darkhero666, ThisIsJustNormal and 8 others like this. Splashfur, Cloudswift, The iFlare and 1 other person like this. Darkhero666, Darth Binks, Splashfur and 3 others like this. Just in time for Sun and Moon! Groot the Torterra, Morosini, Tyrant_0000 and 22 others like this. M4RSH4DOW, Omni Ferious, Splashfur and 3 others like this. Darth Binks, Omni Ferious, Splashfur and 1 other person like this. 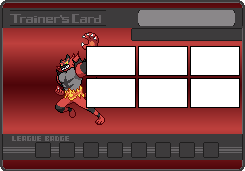 These are a few trainer card designs I recently did for Sun and Moon. 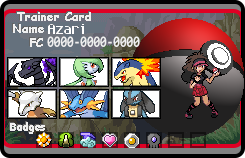 I modified them a little bit to work with the trainer card maker, but the main change I kept was a new slot to replace the gym badges with Z-Crystals. 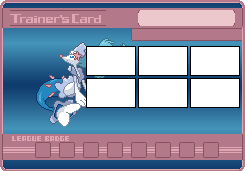 I'd be happy to either e-mail my base files to the moderators or send them my instructions through an e-mail or a PM if they want to use this design. 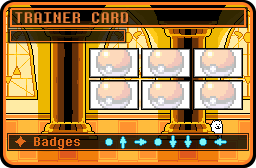 However, I also created a version for gym badges just in case it's not possible to add Z-Crystals to the Trainer Card Maker yet. Tyrant_0000, Naki, Darth Binks and 15 others like this. Tobidactyl, The Kitsune, X5-1026 and 12 others like this. The Kitsune, Tyrant_0000, Darth Binks and 3 others like this. Darth Binks, AkiraPlays199, IcySnowtheAlolanNinetales and 3 others like this. Reminder that I'm still alive. 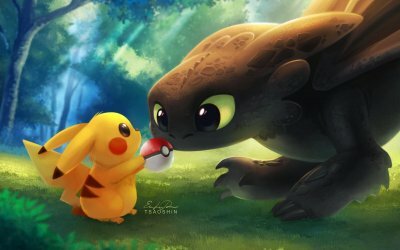 Tobidactyl, IcySnowtheAlolanNinetales, Tamazarokon and 2 others like this. Are these still getting looked at? Because there is some amazing stuff on here that I would love to use! Like the stuff just above from Shiny Lyni and Mr.Munchlax to name just two recent examples of the brilliant stuff on here..
HeatherThePokémonTrainer, nuclearsushi and Darth Binks like this.